Remember how the Internet went into a state of frenzy after the teaser of Zoya Akhtar's Gully Boy released on Friday? Well, while the Internet was replete with praises for the film's actor Ranveer Singh, film's leading lady Alia Bhatt too received one helluva compliment from her 2 States co-star Arjun Kapoor. Just like us, Arjun too was smitten by watching Ranveer and Alia's performance in the teaser (but more about that later). 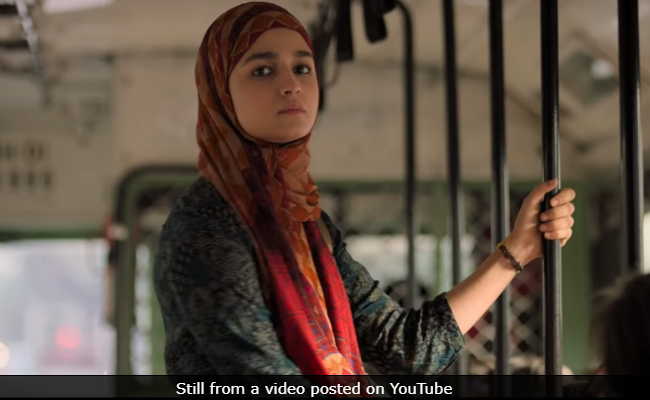 The 33-year-old actor shared the film's teaser on his Twitter account, in which he compared Alia to Academy Award winning actress Meryl Streep and addressed her as "Mini Meryl." Now that's called a compliment! In his tweet, Arjun referred to Zoya Akhtar as "apna dil ka raja" and wrote: "Asli talent ki volcano Zoya Akhtar with apna dil ka raja Ranveer Singh and mini Meryl Alia, produced by the maverick trendsetters Farhan Akhtar and Ritesh Sidhwani. Cannot wait for Valentine's Day cause it's a date with Gully Boy." The teaser of Gully Boy released on Friday along with the announcement that the film's trailer will release on January 9. The teaser showcases the journey of Ranveer's character in the form of a song Asli Hip Hop, which has been rapped by Ranveer Singh. The video has over 8,872,399 views on YouTube as of now. Gully Boy is reportedly based on the life of Rapper Divine, who is considered to be one of the top Indian rappers. The film also features Kalki Koechlin. Meanwhile, Arjun Kapoor is currently prepping for his role in Panipat. Arjun, who especially learnt horse riding for his role in the film, shared pictures from his preparatory sessions and wrote: "New year, new learnings...So the last whole month of 2018 went in enjoying the company of an animal, mother nature and sunrises...As I gear up to restart shooting for Panipat, I feel privileged to be able to learn this beautiful art of becoming one with this most glorious animal." On the work front, Arjun Kapoor's last release was Namaste England, co-starring Parineeti Chopra. Arjun's line-up of films includes Sandeep Aur Pinky Faraar and India's Most Wanted.